PLEASE NOTE: BAOFENG CALLS MEMORY MODE "CHANNEL MODE" AND VFO MODE "FREQUENCY" MODE." THE FOLLOWING STEPS WILL WORK FOR MOST BAOFENG RADIOS, REGARDLESS OF THE MODEL NUMBER, AS LONG AS THEY HAVE THE SAME MENU STRUCTURE (I.E. MENU 1 SETS THE FREQUENCY STEP, MENU 2 SETS THE POWER LEVEL, ETC. 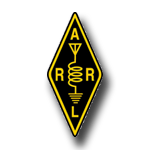 EXAMPLE: To program a repeater with an output frequency of 147.300 with a standard positive offset of .6Mhz, and a PL tone of 179.9, high transmitter power level on memory channel #010, do the following: (This is the Western Placer Amateur Radio Club Repeater in Lincoln, CA). Turn on the radio by rotating the knob on the right top side of the radio. You will hear the radio speak many of the values as you enter them. When you initially turn on the radio, you will hear the radio say either “frequency mode” or “channel mode.” If the radio says “frequency mode,” go to the next step. If it says “channel mode,” press the orange button once with a V/M marking on it in the upper left front of the radio. You should now hear the radio say “frequency mode.” Go to the next step. You must set all the parameters while the radio is in FREQUENCY mode of any data you want to store in a MEMORY CHANNEL. You CANNOT set them while the radio is in CHANNEL mode. Press the A/B switch to place the arrow next to the line A (top line on the display) where you want to enter the program information. The Baofeng is designed to enter information into the A line in Frequency mode (VFO) so that it can be then saved into a memory channel. Using the keypad enter the receive frequency 147.300 by pressing numeral keys 1, 4, 7, 3, 0, 0.. The radio announces the numbers as you press them as they appear on the display. When entering frequencies, you must always press all six digits. There is no decimal point on the keypad to enter. This is the frequency the repeater transmits on and your radio receives on hence it is called the receiving frequency. The receive frequency is the one used to identify a repeater in repeater directories. Press the MENU key briefly, then press the numeral 0 key and then the MENU key again and the radio should say “SQUELCH.” Use the up or down arrow keys to adjust the squelch to a value of 1 or above (never 0 or you will hear constant static and noise that will drown out incoming signals). The lower the number, the more weak signals you will hear, the higher the number, the more strong the signals have to be to be heard. A squelch of 5 is the default value and a good place to use as a starting squelch setting. When “5” appears on the display, press MENU and you will hear “confirmed.” Then press the EXIT key to accept the value and exit the menu mode. The display returns to showing the frequency in A (top line and B bottom line). Press the MENU key briefly, then press the numeral 1 key and then the MENU key again and the radio should say “frequency step.” Use the up or down arrow keys to adjust the value of the step size to 5 KHz. When “5.0” appears on the display, press MENU and you will hear “confirmed.” Then press the EXIT key to accept the value and exit the menu mode. The display returns to showing the frequency in A top line and B bottom line. Press the MENU key briefly, then press the numeral 2 key and then the MENU key again and the radio says “power.” Use the up or down arrow keys to adjust the power until the display shows the word “HIGH.” Press the MENU key again and the radio says “confirmed.” Press the EXIT key to accept the value and exit the menu mode. Press the MENU key briefly, then press the numeral 5 key and then the MENU key again and the radio says “channel band width.” Use the up or down arrow keys to adjust the power level until the display shows the word “WIDE.” Press MENU key again and you will hear “confirmed.” Press the EXIT key to accept the value and exit the menu mode. PLEASE NOTE: THAT UNLESS YOU CHANGE THESE MENU PARAMETERS, THEY WILL REMAIN IN THE RADIO FOR SUBSEQUENT CHANNEL PROGRAMMING SO YOU WON’T HAVE TO DO THESE STEPS EACH TIME UNLESS YOU WANT TO CHANGE THE VALUES. Press the MENU key briefly, then press the numerals 13 and then the MENU key again and the radio says T-CTCS. Use the up and down arrow keys or numeral keys to enter the tone to the desired PL frequency of 179.9. When 179.9 appears in the display, press MENU key again and the radio says “confirmed.” Press the EXIT key to accept the value and exit the menu mode. PLEASE NOTE: YOU WILL HAVE TO CHANGE THE PL TONE IN MOST CASES WHEN YOU PROGRAM A SPECIFIC REPEATER SINCE MANY ARE DIFFERENT. IF YOU HAVE THE INCORRECT PL TONE PROGRAMMED YOU WILL BE ABLE TO HEAR THE REPATER WHEN IT BROADCASTS OTHER SIGNALS BUT THE REPEATER WILL NOT HEAR YOUR SIGNAL WHEN YOU TRANSMIT SO ANYONE ELSE LISTENING TO THAT REPEATER WILL NOT HEAR YOUR TRANSMISSION!!! PLEASE NOTE: THE NEXT STEPS SET THE MEMORY CHANNEL NUMBER TO STORE THE RECEIVE FREQUENCY INFORMATION AND TRANSMIT FREQUENCY INFORMATION. THIS IS VERY DIFFERENT FROM OTHER BRAND RADIOS THAT USE OFFSET, AMOUNT, POSITIVE AND NEGATIVE DIRECTION AND THAT IS WHY MANY HAMS FIND PROGRAMMING A BAOFENG RADIO DIFFICULT AND CONFUSING. THEREFORE BE SURE THAT MENU 25 (FREQUENCY DIRECTION) AND MENU 26 (OFFSET) ARE BOTH SET TO OFF. YOU ARE SETTING THESE VALUES INSTEAD BY ENTERING BOTH THE RECEIVE FREQUENCY AND TRANSMIT FREQUENCY SEPERATELY AS EXPLAINED BELOW. Press the MENU key briefly, then press the numerals 27 and then the MENU key again and the radio says “Memory Channel.” Press the up or down arrow keys to go to a different memory channel number if desired or use the keypad to enter the channel number. In the example above, you would press the numeral keys 010 and then press MENU to place this data in memory channel number 10. The radio says “Receiving memory” indicating the receive frequency which you entered in step 4 above has been stored. Press the EXIT key to accept the value and exit the menu mode. First you need to compute what the transmit memory is by adding or subtracting it to the receiving frequency (depending if there is a positive or negative offset) and the amount of the offset (600 KHz is a standard offset). In our example above, there is a positive offset of 600 KHz so we add 147.300 + 600 = 147.900. We press numeral keys 1, 4, 7, 9, 0, 0 which is the transmit frequency. The radio speaks each digit as you enter it. Now that the transmit frequency appears on line A (top line) of the radio display screen replacing what previously appeared there, press the MENU key briefly, then press the numerals 27 and then the MENU key again and the radio says “Memory Channel”. PLEASE NOTE: THE MEMORY CHANNEL NUMBER MUST BE THE SAME CHANNEL NUMBER WHERE YOU JUST STORED THE RECEIVING FREQUENCY IN THE PREVIOUS STEP. (In this case channel 010 is showing because that is the channel where the receiving memory of 147.300 is already stored. At this point you briefly press the menu key again and the radio says “transmitting memory.” Press the EXIT key to accept the transmitting frequency value of 147.900 and exit the menu mode. Be sure the frequency pairs entered are correct and the PL tone is correct or else you won’t be able to communicate with the repeater. YOU ARE DONE! If you make a mistake, press menu and then numerals 28 and press MENU again and the radio says “Delete Memory.” Press menu again and then exit to delete date stored on that memory channel. You can’t erase data in a memory channel by attempting to write different data over it unlike other brand radios. When you use menu 27 or 28, you change the memory channel number by using the up or down arrow keys of the number pad keys in a three digit format. Memory channel 39 is entered 039 while channel 9 is entered 009 etc... Be sure you don’t delete data from the wrong channel number. The procedure to enter a simplex FREQUENCY is much easier than entering duplex data necessary to communicate with a repeater because the receiving and transmitting frequency are the same in simplex and there is no repeater involved so no PL tone is necessary. Simply enter a simplex frequency such as 146.520 using the number keys as in step 4 above. Go to menu 27 by pressing the menu key followed by 27. Use the up or down arrow keys or number key pad keys to select a memory channel where there is no data presently stored. Press the menu key again and the radio says “Receiving Memory.” Press the exit key and you are done.